Facebook/Rebecca Landis HayesThe note left on Rebecca Landis Hayes’ car. 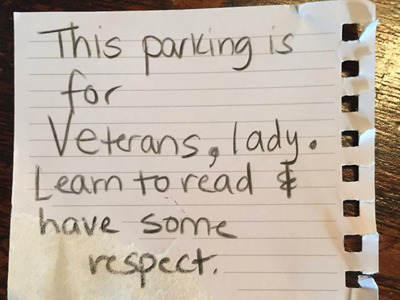 Rebecca Landis Hayes served eight years in the US Navy — so she didn’t think it’d be a problem when she parked in a spot reserved for veterans at a North Carolina grocery store. Another shopper didn’t see it that way. 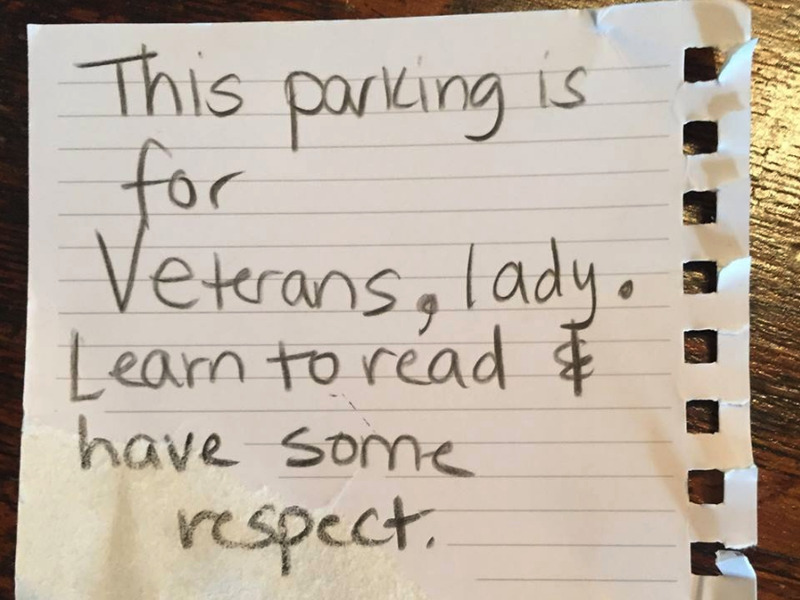 When Hayes came out of the store, she found a note on her windshield that read, “This parking is for veterans, lady. Learn to read and have some respect.” Apparently, the note writer had seen Hayes enter the store and assumed she could not have been a veteran. That day, Hayes took to Facebook to respond, penning a post that’s been shared more than 5,000 times.